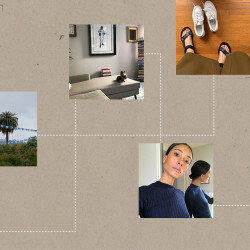 The supermodel facial that gave me close to (ish) supermodel skin. Being backstage at the Victoria’s Secret show is an intimidating experience for anyone other than waify supermodels...precisely because of the waify supermodels wandering around in nothing but rollers, matching satin robes and ubiquitous designer cross-bodies. Nothing like an hour of pushing a recorder in the faces of Adriana Lima, Taylor Hill and Sara Sampaio, asking them about the hours of exercise they complete and whether they’re vegan or gluten-free to knock your self-esteem down a few notches. Forget New Year's Eve—this is the actual annual event where I make all and any health and beauty related resolutions. Seeing that many spray-tanned six-packs will do that to a sun-deprived, would-rather-Netflix-than-SLT editor. Suffice it to say that Dr. Colbert’s offer to try his Triad treatment came at just the right time (a.k.a. a few days after reporting backstage and just when I was mentally formulating my Angel-inspired resolutions). Especially considering the dermatologist’s facial and body treatment is the pre-show ritual of choice for Adriana Lima, Alessandra Ambrosio and Lily Aldridge: sign me right up. Cut to me feeling very out of place in the designer-done offices of the New York Dermatology Group just off Union Square, also known as Dr. Colbert’s home base. After a few minutes of watching impeccably groomed women come in and out of the elevator, I’m lead into a treatment room. Today, I’m getting the Triad facial, a Colbert creation that combines microdermabrasion, laser treatment and a chemical peel—it’s a veritable triple threat when it comes to fast acting skincare. The whole thing requires less than 20 minutes (and if you’re not attending via a very generous PR company, will set you back a whopping $800)—and I went the facial route for exactly that reason. 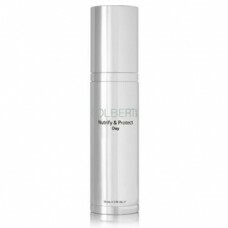 Colbert has recently started offering a Triad body treatment, in large part because his model clients need their body to look as flawless as their face (see: 10 million eyes on them as the walk down a runway in thongs tonight), but only a model could legitimize a 90-minute session for soft legs (oh, and $2,500). The facial itself is pretty easy going—it’s not as relaxing as one of those spa cucumber numbers, but neither is it uncomfortable like a full-blown chemical peel. And all I’m left with is very glowy skin that looks like nothing more than a faint blush for an hour or so after the session. The first step is microdermabrasion, which feels like a light vacuum filled with little grains of sand applied all over your face and neck. The microdermabrasion prepares the skin for the laser,” Dr. Colbert tells me after my facial. “But it also peels away one or two layers of epidermal cells—so it renews and refreshes and increases blood flow.” Next comes a light laser. I’m warned of a burning smell ahead of time and it's true—while all I feel is a something like wafts of warm air, the room suddenly stinks of burning follicles. Thankfully, my eyebrows stay in tact. 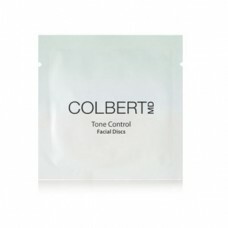 “The laser itself is a stand alone procedure that’s called laser toning,” explains Colbert. “The laser toning alone stimulates collagen and elastin through the fibroblasts in your skin and the heat energy from the laser beam is colorblind, so any skin color can do it.” So, thus far I’ve got scrubbed skin on the outside, and tightened skin a few layers underneath. Last is a light chemical peel. 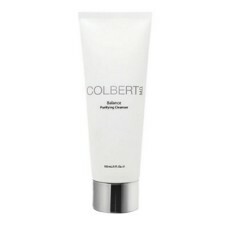 “A lavender, fruit acid exfoliation,” waxes Colbert. “Which washes away another layer of cells, so you have really beautiful, glow-y skin when you’re done.” Yes, it’s certainly soft. But this doctor is the kind of derm that’s really done with skin, and as I’m sitting in his conference room looking at his fancy skincare products, he decides a mask is the final step I need to be truly runway ready “like Magdalena.” Presumably as in Frackowiak. 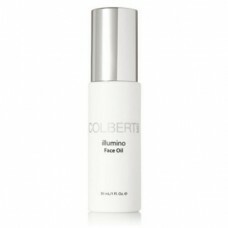 And so on goes his Illumino Anti-Aging Brightening Mask as an assistant pulses a laser light over my skin right there in the office chair (I’m getting a feel for all the requisite model poking and prodding at this point). When I went to reapply my makeup in the bathroom post Colbert handling, I was struck by the immediate effect of the treatment. That elusive glow was actually right there, on my face! And back my makeup went into its bag—maybe it was all the model talk and a false sense of confidence, but who needs BB cream when you’re naturally glowing? 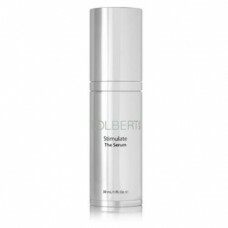 That night I followed Colbert’s direction to moisturize (not tone! ), and the following morning I still required a layer less foundation. Of course, another day passed and I was struck by a rather gargantuan zit—likely expedited by the multiple layers removed by the treatment. Still, though, the rest of my skin remained baby-soft. Alessandra, I officially get the appeal. 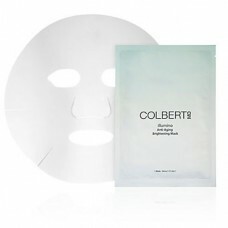 Happily, for those of us without supermodel time and money (the doctor suggests monthly treatments for maintenance), Colbert has engineered an at-home regimen of the type that actually made me believe in regimens. “Whatever event that you’re prepping for, you can do the Tone Control Discs every couple of days, and then you apply a little bit of the Serum mixed with the illumino Face Oil,” he advised. Whatever gets me an nth of a degree closer to that VS Angel glow, no?